We are excited to feature Allie McMurtrie, Re-Marketing Coordinator, as our Feature Friday interviewee this week. 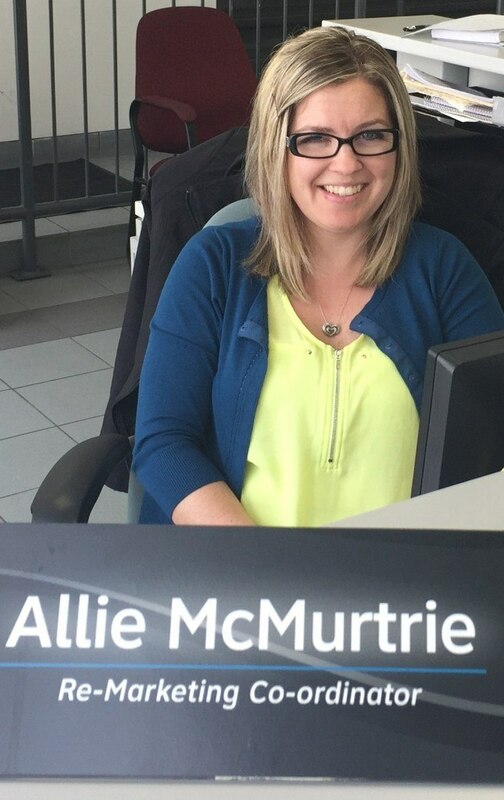 Please scroll down to read about Allie's take on life around the dealership. OMS means a great deal to me. From the moment I started here four years ago, I have felt welcomed and a part of the team. During my time here I have had the opportunity to do a variety of different jobs, and each of them has allowed me to grow and develop different sets of skills. It's a great feeling to get up every day and know you are going somewhere you enjoy working! That isn't the case for every job, so for me, that's what makes OMS special. The people. Tony said it last week, and it's very much true. Everyone here is friendly, supportive, and funny—and no matter which department you visit, people work hard and don't let the fun get in the way of the job, and the job get in the way of the fun! I also really enjoy the pace and the rhythm—no two days are truly ever the same in my role! This is the nature of the car business, and I quite enjoy that. In any one day when I come to work, I know that I will be busy, I might have an issue to sort out, and I will almost always learn something new. I love the variety of things I get to do here both from the sales side as well as from the marketing side. Dealerships can be intimidating places for customers to visit, so I think one of our biggest challenges is breaking down the perception that many people have of car dealers; that we're aggressive or untrustworthy. At OMS, I feel we do a great job of giving customers a pressure-free experience and that we are completely transparent in the process. We want to earn your business not only for one vehicle, but also to earn your trust and build a relationship so you feel comfortable coming back and referring your family and friends. The only way to achieve that is to be open and genuine right from the get-go. For me, I simply treat customers the way I'd want to be treated. The best word to describe it would be "friendly." We like to joke around and laugh here. There is also a lot of hard work that takes place, but everyone does it without being asked. The best example of this is month-end. People in the car business no doubt know that month-end can be chaotic (there are all sorts of deadlines we need to meet), but everyone always pulls together to get the job done. When I first experienced month-end, I was like... "Holy Smokes, Batman!" But there's really a rhythm to it; everyone knows their role and we make it happen. And that is a testament to the people who work here—dedicated and hard-working. To be honest, there are so many funny stories! Literally not a day goes by where I don't laugh. Perhaps the funniest thing that has happened—luckily not to me!—was when someone accidentally flushed car keys down the toilet... Wondering how this is possible? Well, when you combine a very rushed person with an unzipped coat pocket... The result is a trip to the Parts Department where they'll cut you a new key! Needless to say, no one has ever attempted to retrieve the keys.